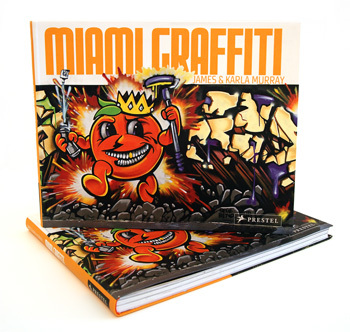 The first book documenting Miami’s graffiti scene. The graffiti art featured in MIAMI GRAFFITI is full of vibrant, tropical colors and a multitude of styles reflecting the surrounding environment. Alongside works of hundreds of artists are interviews, which take the reader on a lush visual journey through this unique and flourishing art form. BOOKS MENU Through vivid photographs and the unedited words of the graffiti artists themselves, the book reveals a remarkably vibrant world that's been hidden too long. The Murrays earned the trust of the Miami artists by showing up in the most seedy parts of town, equipment in hand, ready to listen and document without judgement.